Tropical Night Sky, Palm Trees and Moon. 4K. Night Lapse. hd00:16Coconut Palm Tree with the Moon and Stars. Time Lapse. HD, 1920x1080. 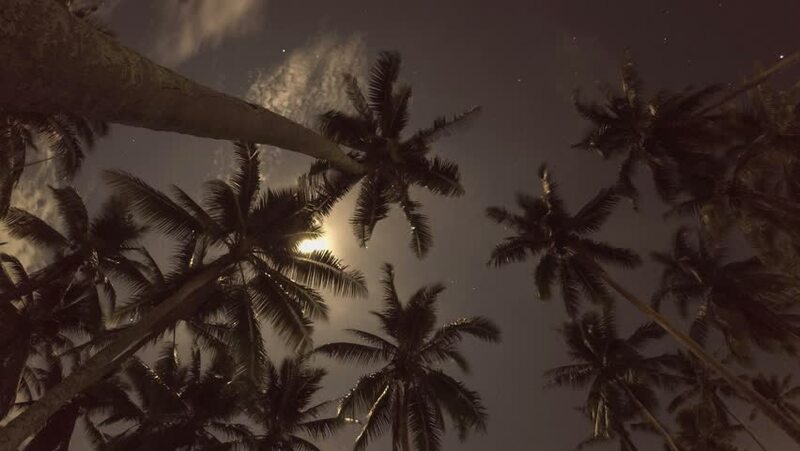 hd00:11Beach at Night with a Full Moon and Coconut Palms. Koh Samui Island, Thailand. Timelapse. HD, 1920x1080. hd00:11Night Sky with Stars and Moon over Tropical Palm Trees. Timelapse. HD, 1920x1080. 4k00:28Silhouette of palm trees at a beautiful sunset. Tops of palm trees against background of sunny sky. View of branches palms at the sunset. Summer traveling vacation and tropical concept . hd00:32A low angle looking up at palm trees against a blue sky.